Creative Solutions to Community Challenges. The Goodman Corporation (TGC) performed a parking and transit demand analysis with multiple data sources including the City, Rapides Area Planning Commission, and Louisiana Workforce Data. The transit demand study looked at four different transit scenarios that were possible for the Alexandria downtown area. 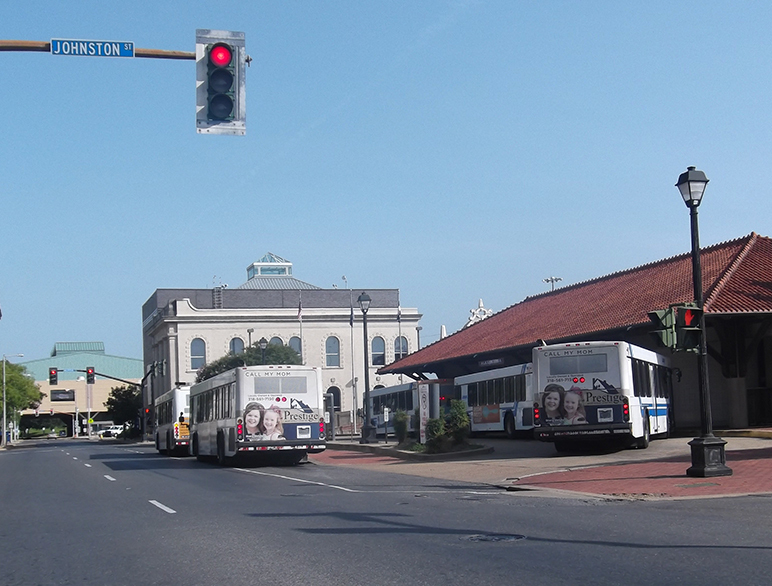 The parking demand study looked at current and future drivers of transit including existing employers, a new campus for Central Louisiana Technical Community College, Riverfront Development, and other redevelopment projects. A site selection and a building program were performed for a parking garage that would meet parking demand and a transit terminal for the potential transit circulator around the downtown area. Surrounding streetscape inventory and associated costs were also performed.